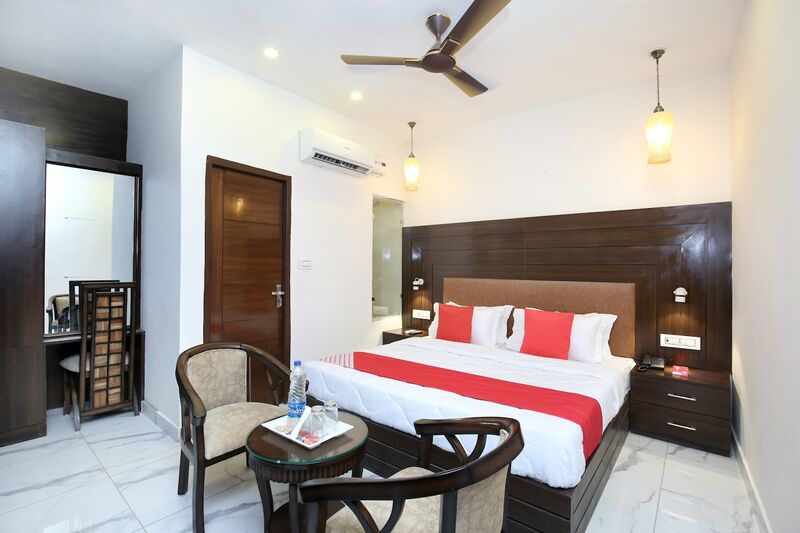 Enjoy a memorable stay at Hotel Ska Hometel with various amenities and premium services. The rooms are decorated with wooden finishing and furnishing for a pleasant and relaxing stay. Various amenities are offered for the comfort of your stay. Seating area in the hotel is fully furnished and can be used to relax. Bathrooms are also well-equipped with basic necessities. Free Wi-Fi and power backup are amenities offered here for a convenient stay. Stay secured in this hotel with the presence of CCTV cameras in the premises. Enjoy delicious food at restaurants located at a short distance from hotel.